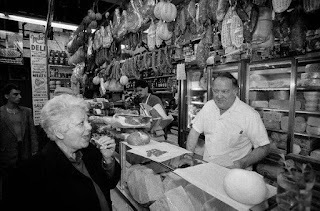 Owner and operator of Mike's Deli, a Bronx landmark; master of meats smoked, preserved, cured, and fresh; olives, cheeses, noshes and notions, things you just can't get anywhere else. AKA The Salami King, the Mayor of Arthur Avenue. Via Sam Roberts at the New York Times.